Despite dire predictions of “crackdowns,” questions remain among legal experts as to just how significantly Attorney General Jeff Sessions’ decision to rescind an Eric Holder-era guidance on marijuana prosecutions will change patterns of prosecution. Although some voices from across the political spectrum condemned Sessions’ new memo, law enforcement groups are bullish on the move. 2013’s so-called “Cole Memo” was a guidance, promulgated by Holder’s DOJ, directing federal prosecutors to lay off marijuana businesses that complied with state legalization efforts and other requirements. These businesses, despite the occasional federal raid, grew prodigiously in the years before the Cole Memo existed. Sessions’ Thursday memo does away with Cole, returning discretion of prosecution to U.S. attorneys, who may enforce federal law as it is written, with marijuana illegal. The move has no effect on “medical” marijuana in the states where it is legal, which Congress has already acted to protect from federal prosecution. When first issued, the Cole Memo was met with skepticism on the right, sometimes cited as an example of the Obama administration’s “lawlessness” and refusal to respect the separation of powers. In political circles five years later, the reaction to Sessions’ rescission of the same memo, and return to the status quo ante, was largely negative even on the center-right. Corey Booker (D-NJ) called the move “an attack on our most sacred ideals and the very purpose of the Department of Justice.” Meanwhile, even Republican politicians like Sen. Corey Gardner (R-CO) made their displeasure with the Cole Memo’s demise known. The political outrage was matched by terrified predictions in the left-leaning press. “Jeff Sessions Is Preparing a Brutal Crackdown on the Cannabis Industry,” a Slate headline by Mark Joseph Stern, for example, screamed. “[U]nless Congress stops him, Sessions will use his authority to intimidate, harass, and imprison thousands of marijuana users, growers, and distributors,” Stern claimed. CNBC added to the tales of woe for state-sanctioned marijuana businesses Monday, claiming Sessions’ decision would further discourage national financial institutions from participating in these emerging pseudo-legal industries. Regardless of the merits of marijuana prohibition, however, nothing in Sessions’ memo mandates any “crackdown” on the expanding “legal” cannabis industry. Individual U.S. attorneys still will exercise their independent prosecutorial discretion in the states that have democratically legalized recreational marijuana, and some legal experts are skeptical of any huge shift in priorities. Indeed, the Attorney General is not even pressuring these U.S. Attorneys to start a crackdown. 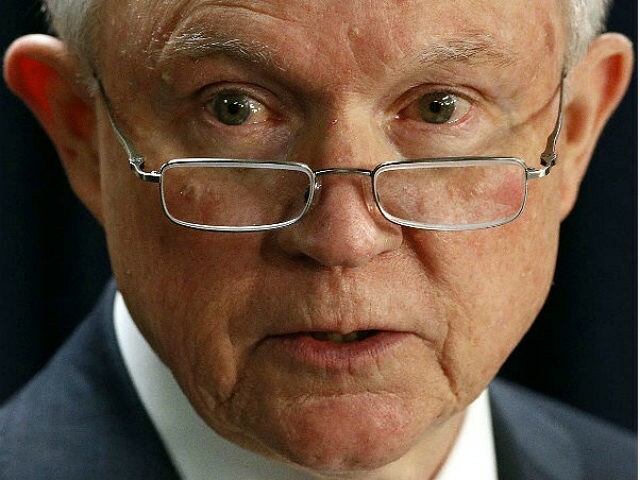 Although the Attorney General’s announcement labels marijuana activity “a serious crime”, he did not explicitly urge U.S. Attorneys to prosecute anyone. Instead, he indicated that enforcement decisions would be left to their discretion. And interestingly, the Attorney General strongly hinted that those U.S. Attorneys could exercise that discretion the same way they had under the Obama Administration guidance he just rescinded. Meanwhile, McClatchy’s Kate Irby reported fears from former law enforcement officials that, without the Cole Memo, the Mexican drug cartels would see a boon in marijuana sales and that a wave of new drug violence might result. But the return to pre-Obama administration policy at main DOJ has met with broad approval from law enforcement. “The Attorney General’s announcement is good news for public safety and public health. There will be no Federal agents chasing individual users — but it will give law enforcement the discretion it lost when the Cole Memo was issued,” Chuck Canterbury, president of the nation’s largest police organization, the Fraternal Order of Police, wrote. Until Congress sees fit to make marijuana legal, the Attorney General and law enforcement have an obligation to enforce current law. Given these factors, this type of direction and support from the Attorney General is appreciated and will ensure national consistency on this matter. The statement notes that the majority of the MCPA’s membership, made up of the chief law enforcement officers of the 57 of the biggest cities in the United States and Canada, continues to generally oppose marijuana legalization, similarly to several other groups. Also issuing positive reactions were the National Association of Assistant United States Attorneys, the International Association of Chiefs of Police, the National Sheriffs’ Association, and the Major County Sheriffs of America.